Charity- This is a word most of us often use but seldom practice. Religion, humanity and various instances in our lives teach us the importance of charity but how many of us implement what we learn from them? The moment we have to part with our money or put in some efforts for the development of others around us, most of us tend to back off. Sometimes the Almighty takes pity on this individualistic world and blesses it with angels. 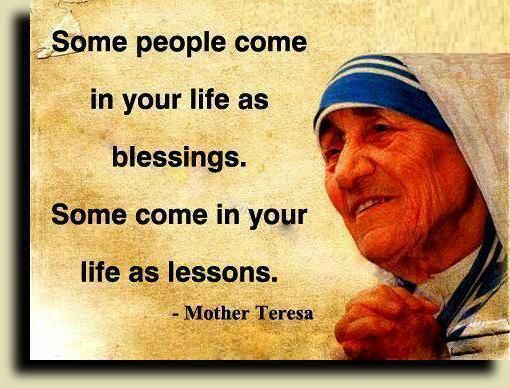 One such angel was Saint Teresa of Calcutta better known as Mother Teresa. 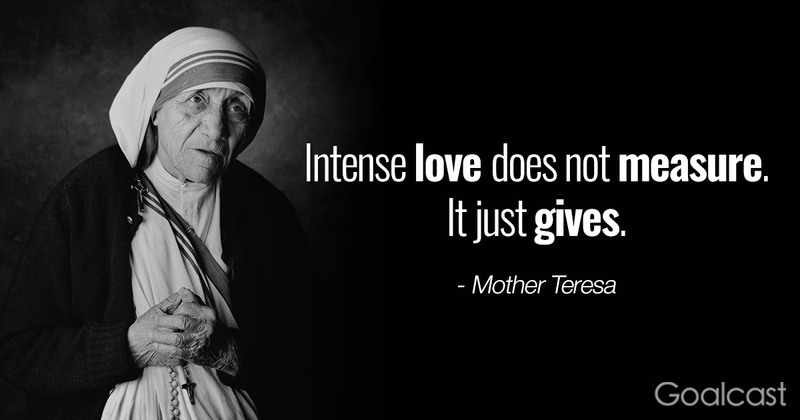 An Albanian by birth, Mother Teresa devoted most of her life to charitable services in India. 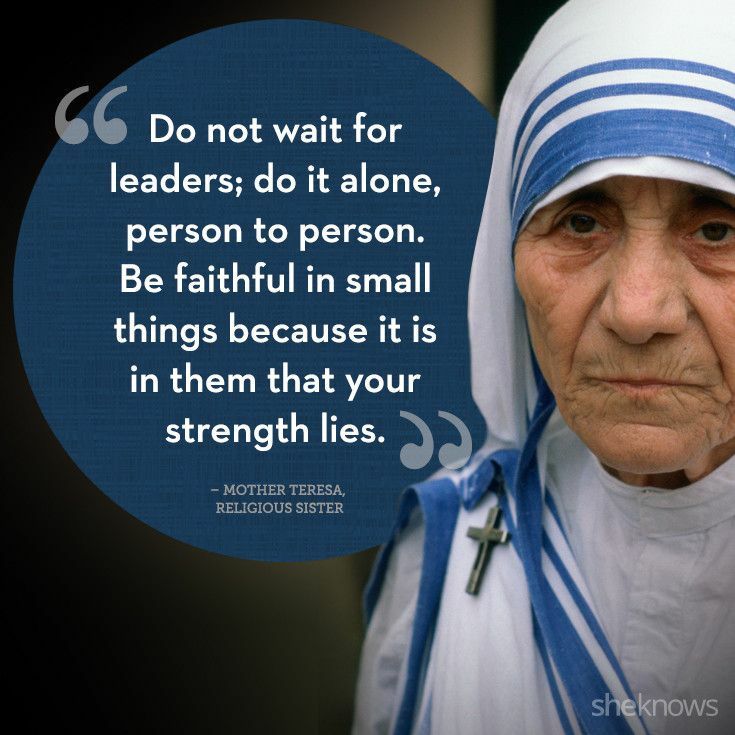 She founded the Missionaries of Charity, a Roman Catholic congregation. It caters to the needs of people dying from HIV/AIDS, tuberculosis, leprosy, runs schools and orphanages for children and undertakes various other forms of social work. 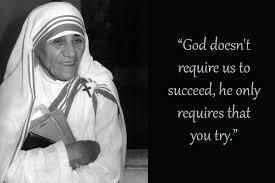 As a recognition of her efforts, she was awarded the Nobel Peace Prize in 1979 and was canonised on 4th September 2016. 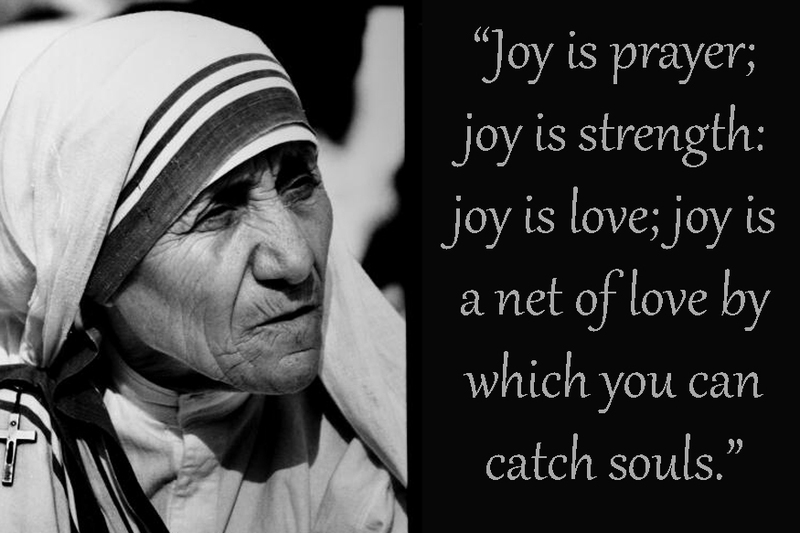 Let us all take a step towards peace and charity by viewing some of her most inspirational words. Value all types of people. 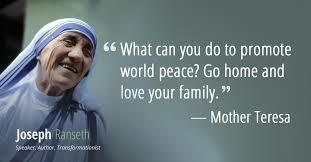 Ensure love and peace within your family to promote it in the world. 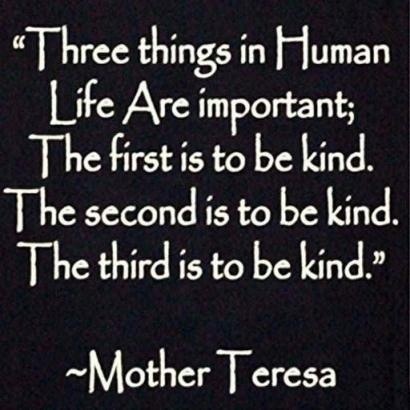 Kindness- The most important asset of human life. Concentrate on the present and embark on the journey of life. 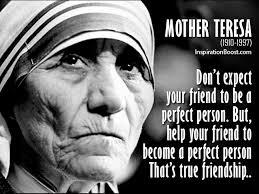 Do not expect your friend to be perfect, instead help him achieve perfection. If you really love someone give them your all without expecting anything in return. 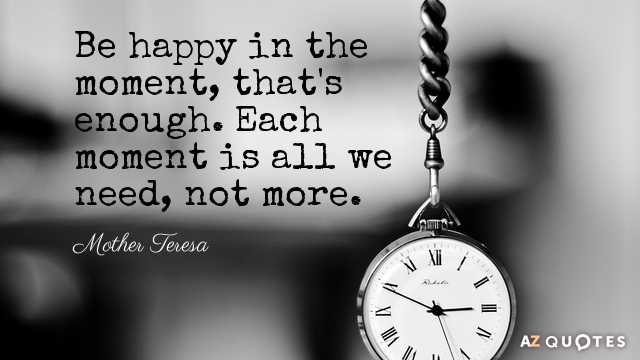 It takes just a moment for us to be happy. One moment is all you need to be happy. Joy is universal. Its upon you to find it.